Even contractors agree that gutters are among the most overlooked components of the roof. After all, they’re not as visually arresting as the rest of the roof. Their function, however, is bigger than most. 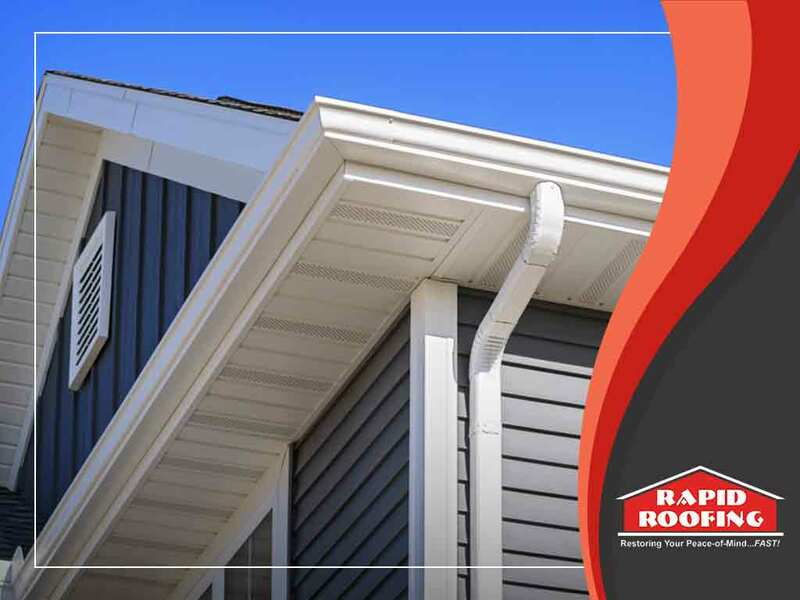 For one thing, the gutter system serves to discharge water that collects on your roof during rain, which, when neglected, could cause leaks and structural damage to your home. Gutters also help protect exterior siding from stain and rot while shielding entryways and windows from water damage. When it comes to gutter design, you have two options: sectional and seamless. Sectional gutters are the traditional choice and the least time-consuming to purchase, seeing as you could simply buy cut lengths of the material. They’re not the most effective choice, however, as Rapid Roofing discloses in today’s post. The design of the sectional gutters itself makes it prone to water leakage. Since they’re just pieces of metal connected together, some up to 20 feet long, they rely on sealants to keep the seams watertight. Without regular maintenance, a small or undiscovered loose seam may silently wreak havoc on your home, particularly your siding, walls, and even the landscaping. At Rapid Roofing, we encourage seamless gutter installation if you still have a sectional gutter. Seamless gutters reduce the risk of water leakage as they’re one straight piece of unmarred metal. Fact: gutter joints are prone to debris accumulation. Leaves, twigs, pine needles and other debris, including critters themselves, can clog your gutters and make water flow inefficiently, even blocking it up completely. With firmly fixed, seamless gutters, you practically reduce the chances of this happening to zero. Knowing your gutter options can save you more trouble than you think. That said, choosing the right system is just half of the story; proper maintenance is also important. Call Rapid Roofing today at (734) 234-5900 today to get started. Let’s discuss your gutter options in Ann Arbor, MI, today.